Why do we like bullet? Each one of us has their own answer but I am still finding mine from the time I fell in love with it. It’s as simple as sharing an unconditional relationship and just can’t seem to stop loving it. I am Ganesh, working at an IT firm. Riding a Bullet has always been my dream ever since I started riding the RX100 (100cc master piece from Yamaha). This dream only came true in 2007, when I bought my Electra. From then my bonding with my motorcycle started, though I initially struggled to use the right shift gears.?. 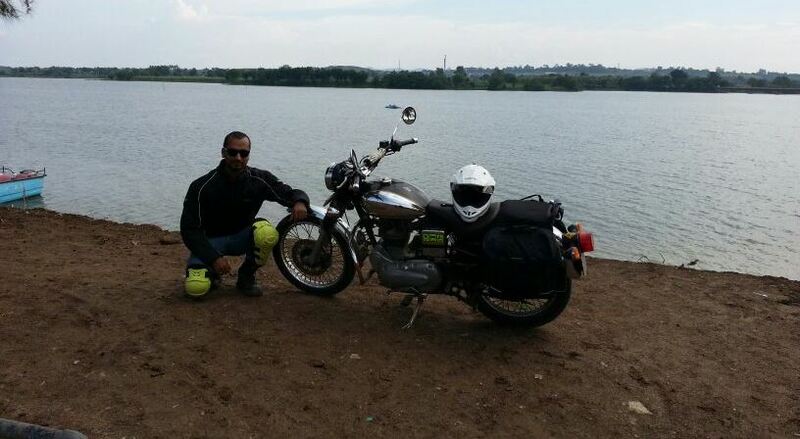 After a couple of months of city riding, I started riding solo to Pune as well as other small towns nearby. This increased my zeal to go on long rides and thanks to Google baba who introduced me to “Inddiethumpers” I met my new family. Malshej 2009 was my first ride with the Thumpers and from then my journey began . I have ridden to different parts of India with some absolutely crazy yet amazingly loving people. Crazy because we love to do bizarre things, ride down some 100kms just to have cutting chai and ride back as though all chaiwalas in the colony are on strike. I love to go off-road and put my bike through the terrain. I love these guys coz needless to say, it feels like I am just meeting my brother from another mother. I will always cherish every single ride I have been on & will ride as long I can.